I have no idea what this poem is all about, or where it comes from, but it seems to me a very odd thing to put on a cheap Ukulele aimed at children, and this is one of the reasons I invited it, (cheap being the main other one; obviously). I have googled the poem(?) and came up with nothing so I've no idea where that came from? Or truth to tell what it is suppose to mean?? 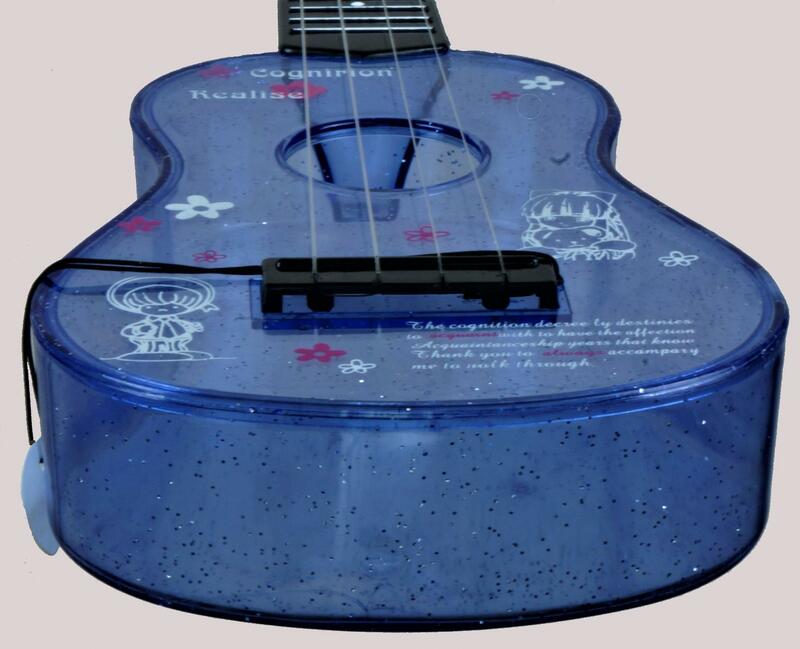 I also don't know about the quality of the Ukulele but I doubt its very great but its definitely different, odd and welcome at Ukulele Corner. Ackerman is a UK importer of all sorts of stuff from Hong Kong, from graveside ornaments to wooden toys, and from the look of it, what they are selling is fairly fluid. So they wouldn't have specially commissioned this; they would just have picked up some stock they could sell?